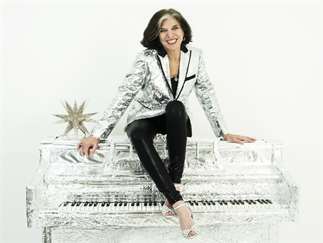 Music fans are invited to celebrate the 70th birthday of singer, pianist and HOME President Marcia Ball. The weekend-long celebration will be hosted at Antone’s and feature three musical events benefitting two nonprofits near and dear to Marcia’s heart: HOME (Housing Opportunities for Musicians and Entertainers) and HAAM (Health Alliance for Austin Musicians). Tickets are limited. Only 200 tickets will be sold, with options including standing, seated and VIP. Every ticket includes wristbands for all three events. Friday night’s 8 p.m. show will be a “Zydeco Boogaloo” featuring Terrance Simien and The Zydeco Experience along with Marcia Ball and her band plus special guest Sonny Landreth. Saturday night’s 8 p.m. show will be a “Sweetheart Ball” featuring Tracy Nelson, Lou Ann Barton, Shelley King, Emily Gimble, Sarah Brown, Red Young and Marcia Ball with her band and more. Sunday’s 11:30 a.m. show will be a “Pianorama Brunch” keyboard extravaganza, featuring Floyd Domino, Nick Connolly, Johnny Nicholas, Red Young and Marcia Ball…and tacos!